The rift between Kampala Lord Mayor Erias Lukwago and the division mayors over power sharing is not about to end. To regain the political and the administrative powers, the five divisions had before the establishment of Kampala Capital City Authority (KCCA), the mayors have resorted to supporting the amending of KCCA Act. 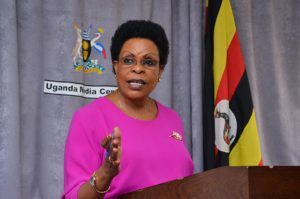 Kampala minister Beti Kamya, is behind the amendments of the Act before Parliament. However the Lord Mayor disagrees with the minister on a number of issues among which is to reduce the powers, under section 11 of the Act, which make him the political head of the city. The division mayors are seeking to have the administrative and political powers decentralized. PML Daily has learnt that towards the end of December last year, Ms Kamya met the mayors who agreed to endorse the amendments, as long as their interests are catered for. Is it a trade off? Part of the reasons, why the mayors front for pushing for decentralisation, is for each division to have its own accounts, so that they fulfill their manifestos. “I promised many things but I have not done anything. This is because of the red tape tendencies at City Hall. If I want to engage in collecting gargabe in my division, I have to write to the executive director of KCCA, which I think, is wrong. Divisions should be given powers and run their accounts,” said Mr Ali Nganda, the Makindye division mayor. Nganda also explained that when they get contracts on behalf of KCCA, the money paid is managed at City Hall. “For example, telecommunication companies are having a running contract with the division [Makindye] but it’s not benefiting a lot,” he added. Joyce Sebugwawo, the Rubaga division mayor also said she cannot serve her people well, making her office politically irrelevant. “We have one account managed by the executive director. No business is conducted at divisions a part from signing passport forms,” she explained. This is the same argument, the former mayor of Central division Godfrey Nyakana fronted, as one of the reasons why he declined to serve more terms. 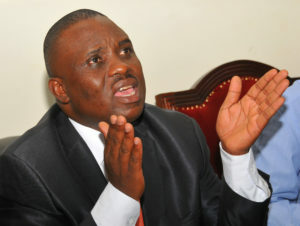 Though Lukwago agrees that the divisions should run their own accounts, he is skeptical that Kamya is after that. To Lukwago, Kamya’s intention in dragging the mayors into amending the KCCA Act is to legitimise and popularise the process. “Kamya and her group want to reduce the powers of my office, specifically Section 11, which says the Lord Mayor is the capital head of the authority,” he said. Ms Kamya on her side thinks the provision for the Lord Mayor to be the capital head of the city contravenes the Constitution of Uganda. “According to the Constitution, the President is the head of every institution in Uganda,” she said. As an indication that things have fallen apart, the opposition mayors of Rubaga and Nakawa divisions on Thursday this week, invited Kamya to attend the council meetings. Kamya, analysts say, is currently on a mission of making sure that the President wins Kampala city in the next general elections. Mr Museveni has in the past several elections failed to win in Kampala. The move by Nakawa and Rubaga divisions to invite Kamya shocked Lukwago and his group, according to his aides. To some analysts, this might mean that to be able to get power, they are now shifting their loyalty from Lukwago, who helped them to capture the seats, to Kamya. Last year, when the mayors and the city councilors met President Museveni, he ordered the ministry of Finance to speed up the process of creating accounts for each division. In 2011, when KCCA took over the management of the city, it centralized the accounts of the divisions and took the money. The Kampala District Land Board account was not spared either. Its account was frozen and Shs4 billion according to Yusuf Nsibambi, the chairman of the land board, disappeared. Mr Nsibambi accused KCCA executive director Jennifer Musisi, of person liability to the loss, an accusation she defended herself against, saying, she wired the money to Bank of Uganda. In August last year, the Finance ministry and KCCA, had to embark on a mechanism of establishing the accounts for the divisions. But sources at City Hall told PML Daily that it can only be done through amending the KCCA Act.